Random Comments: Why Inherent and Residual Risk are Inadequate: What is the Appetite? Too often the practice of internal auditing, when performing risk assessments, looks at Inherent Risk (the level of risk before any remediation) and Residual Risk (the level of risk after remediation. 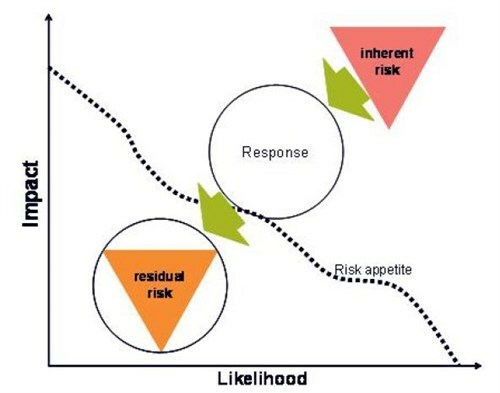 This is inadequate and forgets one of the most important aspects of Risk: the Risk Appetite.